Conductors Solid copper conductor, 0.5/0.6/0.9 mm nominal diameter. Cabling Element Each two conductors are twisted together to form a pair. Stranding For cables less than 15 pairs, pairs are helically stranded in concentric layers to form the cable core. For cables from 21 to 112 pairs, pairs are stranded in concentric layers or bundles to form the cables core. Core Wrapping One or more synthetic long ribbons or tapes are arranged on the cable core. Drain Wire A tinned copper drain wire, 0.5mm nominal diameter. 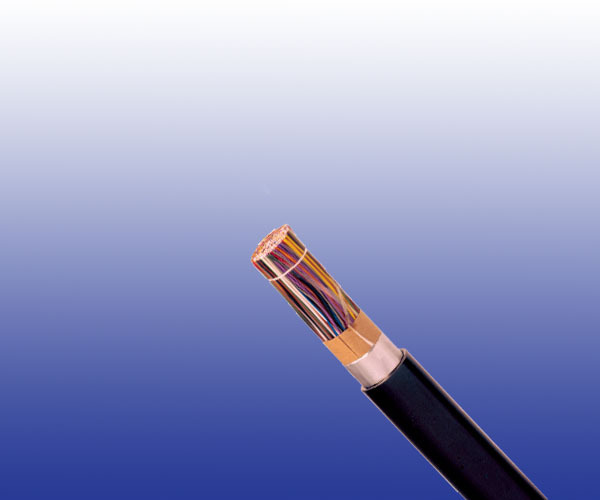 Optional Armoured Cables: For armoured cable, one or more tape(s) is (are) helically applied with overlap on the screen to form a bedding, and double steel tapes armour with a halogen-free fi re retardant outer sheath are applied on the bedding.